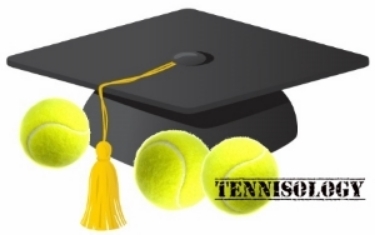 The University of Tennisology at Peter Igo Park is proudly offered by professionally trained members of Marshfield Tennis Club. Instructors are certified by and follow the instructional guidelines of the United States Tennis Association and the Professional Tennis Registry. In addition, all instructors possess current CPR certificates and are CORIed. Marshfield Tennis Club's instructors are committed to teaching tennis to those who truly want to learn the game…while also having fun! Interested in private individual or group lessons for adults or children? Please click here. Our youngest court stars will experience the games fundamentals through a combination of fitness, learning, and games. Instruction will use up to date and age appropriate equipment to help the kids develop basic skill sets. Results will be noticeable and fun will be contagious. Our older participants will get a strong mix of strategy and drills to develop skills, games, and match play. Strength and agility training with fun exercises will improve their level of play. * Makeup classes for rain cancellations will be held on Friday mornings. * Additional weeks of lessons may be added depending on interest. Every Friday we will be featuring programs for Wheelchair Tennis, Wounded Warrior Program efforts, Seniors and Adaptive Tennis. Fees will vary. Please contact the Program Director, Bud Duksta (bud@marshfieldtennis.com), for more information. PayPal and Checks will be accepted. Please send checks payable to Marshfield Tennis Club to P.O. Box 1122, Marshfield, MA 02050 or click the link below to checkout using PayPal.